Get your facts straight! Yesenia has been fired from Council Member Palma's office for undisclosed reasons. Yesenia Polanco will just add to the very crowded field of candidates wanting to pursue public office for self interest. Yesenia has worked for the previous "do nothing" Assembyman Luis Diaz and than went on to Council Member Palma. What has Yesenia truly done for her community besides photo opts with all the elected male members in the Bronx. But if you ask the many constituents that were unfortunate to have met her you will get the real story. And Regarding the BX Party Boss endorsing her, lets be serious!!!! Is Chairman Carl Heastie going to make the same mistake Assemblyman Rivera made when he appointed Nelson Castro...is this part II? Yessenia has no track record of leadership, lacks true experience, and has been fired? I hope that this was just rumors, but if Chairman Heastie does endorse her, he would definitely loose the confidence of many who supported him. With so many good candidates in this race, why select the least prepared, least proven, least educated and with the least leadership? This has to be false rumor, or we are back to old politics in the Bronx. I vote for Fernando Cabrera. Yesenia has plenty of experience. She has worked for a NYS Assemblyman as well as a NYC Council person. Ther is no truth that she was fired. She is well respected in the community and is not a part of the previous corrupt clan. She will make an excellent council person and work hard for the community she lives in and cares for. I have to laugh at the trolling previous posts. Its laughable that those who talk about the "same old bronx politics" seem to want to endorse the "same old bronx politicians". And lets be honest, thats basically what you have in this field EXCEPT for Yesenia Polanco. Look at the West Bronx area! What is needed is a young fresh intelligent outlook, with energy and new ideas. Someone who will work EVERYDAY for the community, not have the "worst attendance record in City Council in 2008". Experience in working with the city and state? Chief of Staff is not experience and being a pastor is? Fired? Lets discuss facts and not just throw lies out and hope they stick. This should be simple... someone ask Council Member Palma why Ms. Polanco is no longer working with her. FOR THE GOOD OF ALL OF US GET IN A ROOM AND FIGURE OUT WHO CAN BEAT BAEZ AND THEN THE REST OF YOU DON'T RUN!!!!!!!!! ALSO- if Fernando Cabrera were to hire someone with equal experience in government as Yessenia, then technically he has more on his side. His campaign staff has much to offer. My support, vote and efforts are with Dr. Fernando Cabrera. Get YOUR facts straight! There is absolutely no truth in that Ms. Polanco was fired. What we need is a new perspective and Yesenia Polanco is no doubt the candidate to give us that. Once you come across Ms. Polanco you will be assured she is indeed highly qualified. Hey Richie you are right! What we need is leadership, not another administrator. He is the only one truly independent in this race. Fernando Cabrera has my vote! This council race is getting pretty crowded. It seems like everybody is getting in on it. I haven't heard of anything any of these people have done. What's more shocking is that I haven't even heard of what Maria Baez's has done, and she's going for her third term.... What?? I have seen Cabrera in news 12 often though..He's the only candidate that appeals to me so far... plus he's got a doctorate.. It may be a good change to have some brains in office. I find it appalling that instead of seeing that change is needed, all I see is non voters but the insiders in politics write hateful things towards these two candidates. The reason I believe they r both running is quite clear, CHANGE is needed. But I will state this yes a doctrine degree can not be compared to a her bachelor degree with experience, but all he would know more than her is about Christ. I believe in the separation of church and state, therefore Cabrera should leave the politics to someone who has been into it from the onset of her career. His calling was God and church, her's is quite clear, Government. The experience talk is silly beyond belief. this is a City Council race not a US SENATE race. The only one with "experience" is the incumbent....so thats the WRONG criteria as we dont want THAT experience. A CIty Council member must work closely with his/her community and LISTEN to constituents and their needs. This silliness of standing on a doctorate degree that has nothing to do with POLITICAL SCIENCE is laughable and has zero to do with getting things done. Are you people serious? If we use your criteria every elected official would come from the faculty of Harvard only. Successful elected officials come from various walks of life with various backgrounds but have one common talent. The ability to get things done politically by listening to the will of the people and translating that into positive change in the community. DIdn't we just witness a presidential race where the candidate with almost ZERO experience (1 1/2 yrs in senate), compared to his opponent completely surged to victory? Ideas, focus, commitment, relevant experience of course, and the ability to get close to the pulse of the people to get things done....these are the issues. Not the same old same old, and not some career pastor who sees an opportunity to change careers now that the incumbent is vulnerable. This has nothing to do with religion. And there is no such thing as a "doctrine degree" - DOCTORAL degree. He is a college professor at Mercy college. Teaching the graduate program for counseling. Has worked for the Board of Education since 1990. He has not just been a "pastor." Dr. Cabrera equally shared his values in both church and the secular world and at no time has this been any conflict of interest. You need to check out his credentials......THAT'S WHERE THE ANSWER IS. I've never heard of Yesenia Polanco. But I have heard of Dr. Cabrera because he is out there doing for the bronx. He isn't sitting in an office waiting for it to happen, he is making a way and being involved to make it happen. It has been said that "Everything rises and falls on leadership" and only TRUE CHANGE can come from a TRUE LEADER! !, and from all that has been said the TRUE LEADER here is Fernando Cabrera. You want CHANGE! ?....HERE'S YOUR MAN!!! FERNANDO CABRERA FOR COUNCILMAN OF DISTRICT 14. CHANGE IS ON THE WAY!!! As an OIF Combat Veteran of the US Navy, I have been trained to live by 3 key character traits: Honor, courage, and commitment. Fernando Cabrera is a man that EXUDES these characteristics and more. He is a genuine, selfless, and caring individual that ALWAYS has the well-being of others at heart. He is a loving husband and father, and excellent role model for others close to him, as well as the community. And if all that is not enough, Fernando Cabrera is a man that is driven by the will of God. If you are looking for a candidate that will ALWAYS be honest, fair, and have your best interest at heart, the obvious choice is FERNANDO CABRERA! Can I share with you that we have been planning/running this race before the term limit decision, before the Paradise Coupe de tat split the Dem party, etc. ok, I assume every candidate can bring this same thing to the table in one form or another, please give us something unique that stands out and sets her apart... so, it's not so clear that she is the best person for the job. How does being married and a father give someone experience as a candidate?? Just curious. And why would anyone even make such ridiculous comments about her and the male officials just because she's an attractive female? That garbage must have come from a female . Let's focus on POLITICS please and not personal lives or malicious rumors. Yesenia Polanco can run in 12 years lol, but right now we need change in the bronx. Dr. Fernando Cabrera time is now. Over the past 20 years I have worked with Dr. Cabrera on both a professional and personal level. It is with great pleasure that I find out he is running for City Councilman district 14. I can only speak for the candidate I know, and I know Dr. Cabrera. What I know is that he is not in New York to be a career Pastor. He has been salary free for 19 years, building his church in the Bronx. He is a professional with plenty of experience working for the community in the Bronx. At 44 years old, here is a brief list of what he has done for the community: Two years in a row he joined with the Hispanic Jewish Relation Task Force to clean up St. James Park (raking himself). Through this task force he has also encouraged and arranged for several youth in the community to join a sub committee to bring awareness regarding anti Semitism. For the past year he has encouraged small community groups to join forces in providing assistance to the local family shelter and these are just some of his contributions. Let the experience and the people decide who is qualified. I can surely believe in someone who trades his suit for jeans to get down and dirty in cleaning up the Bronx. Being a father and a married person does count for something- you don't think Cabrera could relate more to marital and family concerns??? This is just a small factor in his character that makes him more well rounded, of course I would include it as an item. Its time that this Borough receive the change that is long overdue and there is only one person that can do that Fernando Cabrera not only does he have a heart for people,a Bronx resident and as much knowledge about what goes one in the Bronx, and knows what this city needs in order for the Bronx to shine amongst the other boroughs but he genuinely cares about the Bronx and what happens to the people. There's no doubt in my mind Fernando Cabrera for a better Bronx and a brighter future. In the Bronx we need a strong change in the course of leadership. This is not to offend anyone, but this far it continues to be business as usual- translated "busyness" as usual. It will be challenge, but we need a leader with the character to lead- and to unite. Let's put down the gloves and work for the best of our community, not just ourselves. Politics as usual is now a thing of the past and I'm not afraid to think "outside of the box". I think that Fernando Cabrera is a serious candidate not to be taken lightly. Breaking News: Perhaps this an oversight, but there is a dark horse in this race also. And he is Miguel Santana, a lifelong New Yorker, 10 year Bronx resident with 18 years of public service experience in: New York City Government- Human Resources Administration, Labor-Communication Workers of America Local 1180, Community-Non Profit-SkyHoops/Community Empowerment Network and as a Democratic County Committee-Member. From 2008 – Present as an Agency Deployment Analysts for the Financial Management System Project, he works closely with NYC Agency staff, City’s Vendors, and members of the Department Of Education project team to ensure alignment of readiness and deployment support programs to meet the City’s needs and expectations. Its a little humorous to read the above posts. What's obvious to me is one thing. Fernando Cabrera's inner circle of supporters have hijacked this board. LOL. I mean really. Lets get real....the election will not take place on a blogger forum hijacked by one candidates close supporters. This thing is going to play out the way all races do. We will see who is able to raise the money from REAL supporters, who can bring the various coalitions together, and who can rally people BEYOND their inner circle of support. And to the person spreading ugly lies about people they dont really know. Shame on you! The Bronx is worse off with people like you in it. I would like to make something clear on this blog regarding Cabrera supporters. If you look through the posts- we are not blogging as "anonymous". Also.. we are well aware that this will play out the way all elections are done- that awareness comes with CONFIDENCE! sounds like you got it all locked up. lol. why waste your time then with the paltry competition? what has you worried? why the need to shout Cabrera's resume from the mountaintops on the board if your army of supporters and volunteers is marching with such CONFIDENCE?. are you worried that the dem party leaders who's support is CRUCIAL to the election may not be drinking the same kool-aide? hmmm.... makes one wonder. One thing you learn early in life. When someone is not a threat, they are paid little attention. Seems the one candidate you and your army is most scared of is the one targeted in tandem on these boards by the inner circle. Just a thought:Why not have a candidate forum that is moderated by an independent entity so that all the candidates can leave it up to the community to decide? To Anonymous 39... I think a lot of what has been said on this thread about Cabrera has been written to acknowledge him on this thread in all fairness. A Cabrera supporter on this thread is doing no different than any of the other elected hopeful supporters are doing. And about "drinking the same kool aid".. just speak straight up, why the riddles??? Quite honestly, this is a race- we wouldn't be in it if we were to worry or depend on anyone. It would be helpful, yes. Support is not about what one person can do for you but what you can do for each other- so I am not thinking or speaking along the same lines as you my friend, nor do I post as anonymous like you do. Ladies and gentlemen name calling is old school politics. Engaging in this type of rhetoric presents no change at all! At no point do I read Richie Rich name calling...he is telling like it is. Anonumous....what is your fear?????????? Dr. Cabrera has the troops...and an awesome team that are willing to give it 200% of their time, efforst and energy. My previous comments were not exclusive to anyone. Rather its a general observation. The status quo lives on. Bummer. ANYWAY.. Bottom Line: When its time to hit the frontline, Cabreras soldiers will be there. When all the blog babble is over, only God knows whos going to win. But you better believe that our passion to see this community transformed and uplifted is going to drive us to the finish line.. Our resource: every last breath! It is quite evident that there is support for one candidate or the other. However, what's most important is what the residents of District 14 think. So once again let's have a candidate forum moderated by an independent entity and let the chips fall where they may. And therein lies the bias. These postings are a mere sample of a very big district. One that hasn't had the opportunity to make a broad assessment of all the candidates. informal fallacy... back to the facts..
HAHAHA. posting as "Richie Rich" you may as well be "anonymous". please tell me the difference? so if i post as "Bold Boris" that makes me any less anonymous? time to learn the definition of anonymous. unless you wanna reveal who you really are we are all anonymous here. and it really makes no difference. and contrary to false belief, anonymous posts on here are coming from various posters not a single person. change we can believe in? hahaha. how fresh and original....THAT hasnt been used before. brilliant. Lol- Richie Rich is my nickname.. it's clear that there are numerous "anonymous posters" here, but there are no give a ways with who they are. Using my nickname and my previous postings you would be able to deduce the information... If you've worked in the arena b4... you probably know who I am. but.. this post isn't about me. I am just excited to be part of a great team. I am looking forward to the challenge and working with Dr. Cabrera.....and no I will not get paid....I will volunteer my time for him anytime. It would be nice to come to a forum where you can learn about the candidates involvement in the community...what they have done! Not what they intend to do, because if they never did anything they will accomplish more of the same. What have you done for me lately!!?? I need to know. Candidates dare to answer that question? Bueno Miguel, if you are online, or if anyone who knows Miguel Santana is online, please tell me what this guy has done for the community cause he does not seem to be part of the machine. Maybe a real Person for the People is actually running here...dime mas! when has Santana provided such services? its a very naive statement to say if a person doesnt have a laundry list of things done in a community that they cant be elected to that district. we just elected a president that had zero accomplishments to speak of in terms of legislation passed in the US Senate. you judge a candidate on many criteria. past work in the community is definitely one of them, but not the end all because if that were the case the incumbent would win hands down every single time. bottom line, I am a voter. You can not tell me what determines how I vote. Hope you are not a candidate telling me a potential voter that I am naive. My criteria for voting is mine, and possibly shared by others. IF you are a candidate and have not ever done anything for the community you are looking to represent then that quite possibly is the reason you feel that my need is unimportant or naive. In the meantime, for those candidates that do care for my single vote, please do advice. For those who do not care for my vote, then simply do not answer. I would be much more comfortable with this dialogue if it focused less on the "football game" politics and more on the actual issues facing the community as a way of deciding who is most knowledgeable and capable of addressing them. This is a community with massive housing problems, an out-of-control-over-development crisis, drug, domestic violence, and crime issues, an advancing poverty and disturbingly high unemployment, as well as in impending armory project that so far still remains out of the community's grasp. So let's talk about those things, rather than who knows who, who supports who, who worked for who, who was fired or not from who, and who is part of which political faction. You can be sure those issues will be my focus when i invite the candidates for a debate on BronxTalk once petitions are filed and approved. If you BELIEVE Miguel Santana is your choice. Unless you folks start getting your focus on issues rather than candidates, you could very well be in for a "meet the new boss, same as the old boss" scenario when this all washes out. To be effective, the change our new president talked about must reach down to the most local levels and include those who are would-be king-makers in Bronx City Council races. If you keep to the same old power-grab mentality, you are destined for the same old results. My vote Stands for Dr. Fernando Cabrera at new life outreach international. i believe that This man will do alot of wonderful things for bronx Citizens. he is a man of his Word. I dont Care what anybody says about Him I will Stand By his Side all the way. Dr. Cabrera you Have my full support on this Vote. May the lord Bless you. GAX, i respect your opinion. Jose, I respect your commitment. The issues are important to know. The man or woman is important so that you know if they are capable of carrying through with the mandate. Lets see what happens...May the best person win. Determining which candidate is the best one to fight for the community's interests in the Kingsbridge Armory has nothing to do with who they are supported by and (most certainly) not whether they are Puerto Rican, Dominican, Afro-American, Jewish, Italian, Arabic, or anything else. And all you folks have been debating here is all that other stuff that really amounts to a hill of beans. Who has the vision and ideas to address the community's issues and what are those ideas? Unless you turn this dialogue in that direction you will end up in the same place and the same representation you have now, regardless who is elected. Are you guys serious? I was really starting to believe that the good Pastor Fernando Cabrera had alot of support in the 14th district according to this blog until I looked up his myspace page and saw that everyone who says these great things about him are relatives and friends on his myspace page. you can't fool the voters of the 14th district Pastor. If you're really known in the community where are your supporters outside of your relatives and myspace buddies? And for those who ask what has Baez done for her community just check her track record. Do you think the schools and parks in her community were fixed up by accident? I shouldnt even speak on the other so-called candidate for her seat any mention of her name just gives her free publicity that she doesnt deserve! i just have one question? 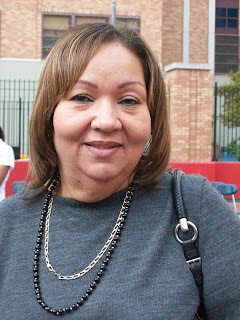 What has Yesenia Polanco ever done for her community? She has done alot for the male elected officials in the Bronx though, and Manhattan, and Queens, and Brooklyn, lets not forget Staten Island! You get my drift! There's only one choice in the 14th district Maria Baez! Dr Cabrera is the only choice if we want the Bronx to come out of the shadows and become an example!!! A leader that has worked in the community, with the community and for the community gains a lot of supporters, which can be called friends. I vote for visible and credible people in whom I can believe in. I believe there can still be integrity in government and politics and Fernando Cabrera running for Council District 14 gives me the hope that character and integrity still exist in this society. I should already be on his myspace and facebook and I will suggest others to add him too. I will continue to support him throughout his campaign. If this is all true about Polanco .... THE TRUTH WILL COME TO LIGHT! I don't know her....and will not vote for her. I am looking for someone who not only has credebility, but character. I really hope the truth does come to light ... Yesenia Polanco is not a kind person. My heart goes out to the woman whose husband had an affair with Polanco. Stay strong and keep your head up. I find it interesting how this political blog is capitalized by similar ideas. I am a teacher in the University Heights section of the Bronx born in the area and educated at Hofstra University and Baruch amongst other institutions of higher learning. When I returned to the Bronx to teach at my community which I adore, I pursued all means of political help from the local “elected officials” and the response was halfhearted at best from most of them but not Luis Diaz or Adolpho Carrion whom both worked very hard to provide my school with access and even resources to help aid us educators to better assist the students. Yessenia was the one pushing the Assemblymen to help our school and even persuaded the other elected officials to aid this school based in a community that is in a state of emergency. Her grassroots work is admired by many in the community and not only do I feel that Yesenia is well qualified but I will be hitting the streets of my neighborhood persuading the people to come out and vote. The time of rhetoric is over its time for action it is what the people of this neighborhood deserve. This blog is factually wrong. Dont listen to candidates trying to sway voters by lying about who is supporting them. TIRED OF ALL THE PERSONAL ATTACKS.. CAN WE FOCUS ON THE ISSUES AT HAND? mZ.JAY. interesting chain of events lol.